Solve an ancient mystery of the Inuit people in this ice-cold adventure! Your grandfather has spent his entire life in pursuit of lost treasure based on an old Inuit Legend. Now he has gone missing! Travel to the Arctic in search of your missing grandfather. 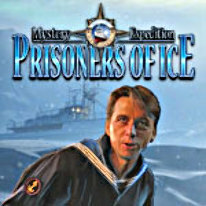 Find him and solve the mystery of the Inuit people in this ice-cold Arctic adventure! -Search for the lost treasure! -Solve an ancient mystery of the Inuit people!